Even if your iPad or Android tablet does not have its own cellular chip, you might be able to borrow a data connection from your phone. Q. Since I connect to the internet with my phone using my data plan, I wonder if I could do the same with a tablet or laptop? Is it possible to get online with cellular data rather than Wi-Fi while on a tablet? A. Using a cellular-data connection to get your tablet on the internet is certainly possible, but you may have to make an investment in additional fees or hardware. Since you already have a data plan for your phone, contacting with your current wireless carrier to inquire about sharing your phone’s internet connection with your tablet is a logical first step. With the right plan, the tablet can link up over a Wi-Fi connection broadcast by the phone; this is also referred to as using a personal or mobile “hot spot.” You may also be able to “tether” the tablet to the phone over a USB or Bluetooth connection to share the network signal. Most laptops can also use tethered or hot spot connections. Many wireless carriers — including AT&T, Sprint, T-Mobile and Verizon Wireless — offer hot spot-and-tethering options for their mobile customers. If these options are not already included with your current service plan, you will need to pay extra. Sharing your phone’s connection with other devices can rapidly eat through a data plan and drain its battery more quickly than with normal use, so keep those factors in mind when considering your hot spot or tethering needs. In addition to contacting your carrier about the service, you also need to set up your phone to share its connection. 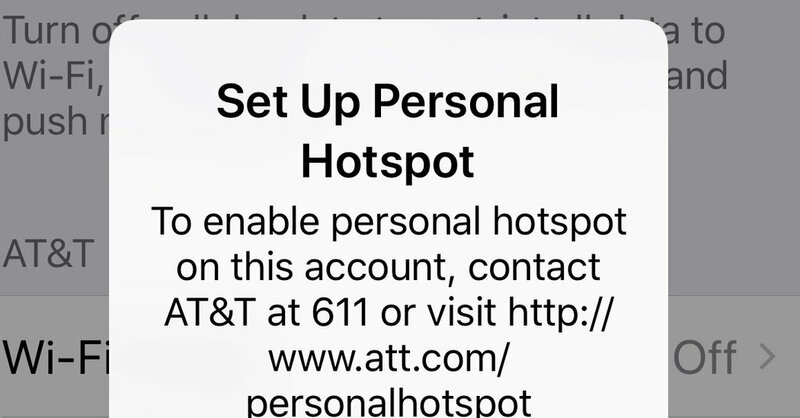 Apple’s site has instructions for using the Personal Hotspot feature on its iOS devices. Google, LG, Motorola and Samsung are among the Android phone makers with setup guides on their own sites. If you often need a portable personal network for your tablet and don’t want to use your phone’s data allowance, you can buy a separate mobile hot spot and service plan. These pocket hot spot devices connect to a cellular data network and provide Wi-Fi access for tablets, laptops and phones. Wirecutter, a product review site owned by The New York Times, now recommends the Verizon Jetpack Mifi 7730L as its pick for the best mobile Wi-Fi hot spot. When it comes time to upgrade the tablet, another option is to pay a little more up front for a model that can use both cellular and Wi-Fi network connections. You might need an additional data plan if your current service does not have data-sharing options, but you have fewer gadgets to wrangle when getting the tablet online. Personal Tech invites questions about computer-based technology to [email protected]. This column will answer questions of general interest, but letters cannot be answered individually.